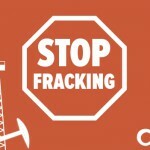 This will be the first frack since a test attempt seven years ago caused earth tremors (April 2011). Minister Greg Clark granted fracking consent while a legal challenge brought by Friends of the Earth is still being considered by the High Court. Hydraulic fracturing, or fracking as it’s commonly known, is the controversial process of pumping a high-pressure mixture of chemicals and water into shale rock, ‘fracturing’ it to release gas. England is the only part of the UK where the process is allowed to take place, as authorities in Scotland, Wales and Northern Ireland have put a stop to it because of the risks. “It is desperately disappointing for the community at Preston New Road, for the UK and for our climate. But it’s important to place this in perspective because it’s taken the industry seven long years to frack just one well, despite the government promising to ‘go all out for fracking’. “In those same seven years, renewable energy has gone from providing a tenth of our electricity to supplying a third of it. There is no need to force fracking on this community in Lancashire when the alternatives are so clear. Across the country, people are calling on the government to respect local democracy and stop forcing fracking on communities.